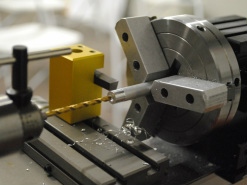 Beonca Machine specializes in Precision Turning and Milling. We run large and small scale production as well as intricate prototype parts. Let us help you with your parts and projects - call or email today for a quote. Beonca Machine was founded by Johann and Dolores Bock in 1976. Johann began his career in machining at the young age of 24 shortly after he came to the U.S. from Germany with his family. By the time Johann was 40 years old he had saved the capital to build a family business with his twin sons, Danny and Dennis, who were 18 years old at the time. Johann worked together with his sons and eventually grandsons, Eric and David, up until his passing on November 30, 2003. 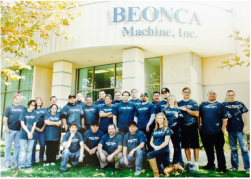 Beonca Machine is a third generation family owned machine shop. Danny and Dennis Bock, second generation run the business today along with their two sons Eric and David Bock who have been working in the business for the last 15 years.